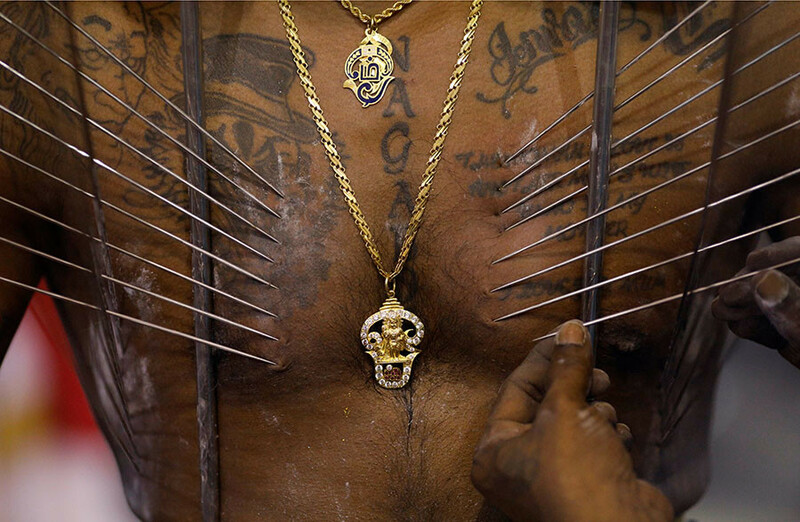 As Tamil Hindus around the world celebrate the festival of Thaipusam, numerous photos and videos have been shared showing men piercing their bodies to create mesmerizing yet brutal displays of devotion and sacrifice. A religious celebration for those primarily of Tamil ethnicity, devotees seek blessings from Murugan, the Tamil god of war and victory who represents virtue, youth, and power. 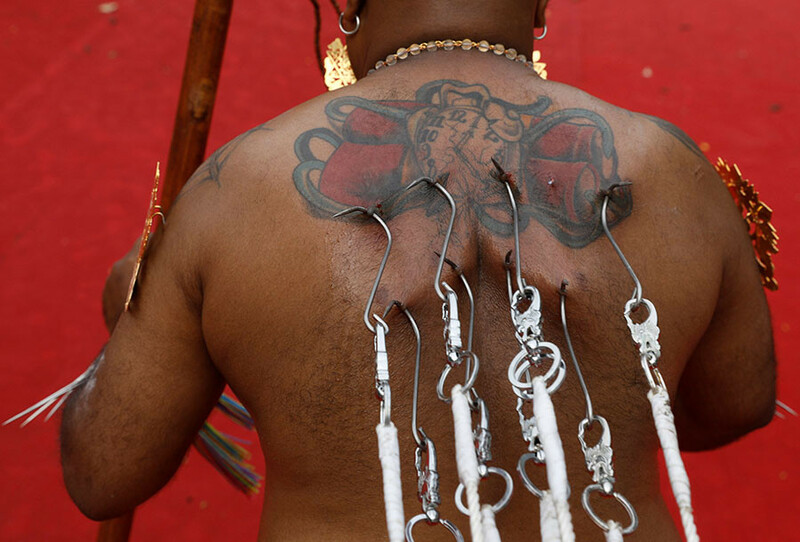 These can weigh up to 100kg and are often attached to numerous hooks and skewers piercing men’s bodies. Although the date varies from year to year, it is traditionally celebrated on the day of the full moon of the Tamil month of Thai (January/ February). The day celebrates Murugan being given a spear by his mother, Parvati, so he could vanquish an evil demon. 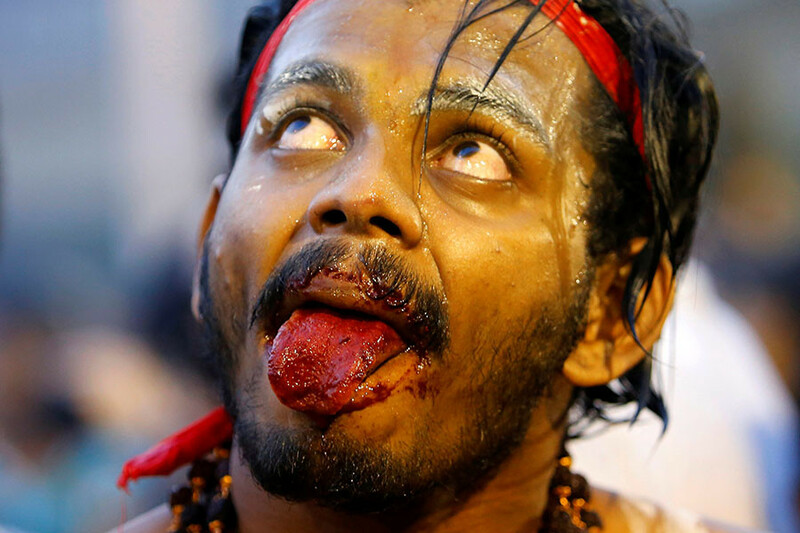 Many of those participating in the event shave their heads, and usually go on a strict vegetarian diet ahead of the festival. 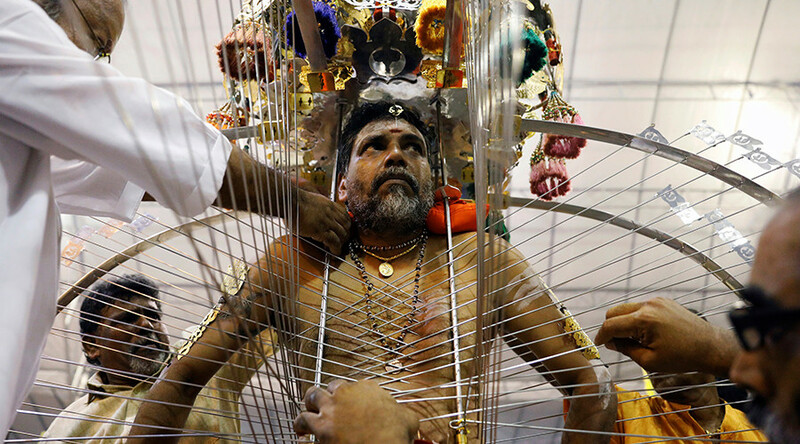 In Singapore, around 50,000 people are expected to line the streets for the procession, while over 10,000 devotees are due to take part, with a participation fee of up to 75 Singapore Dollars ($53) for those sporting a kavadi, according to Straits Times. 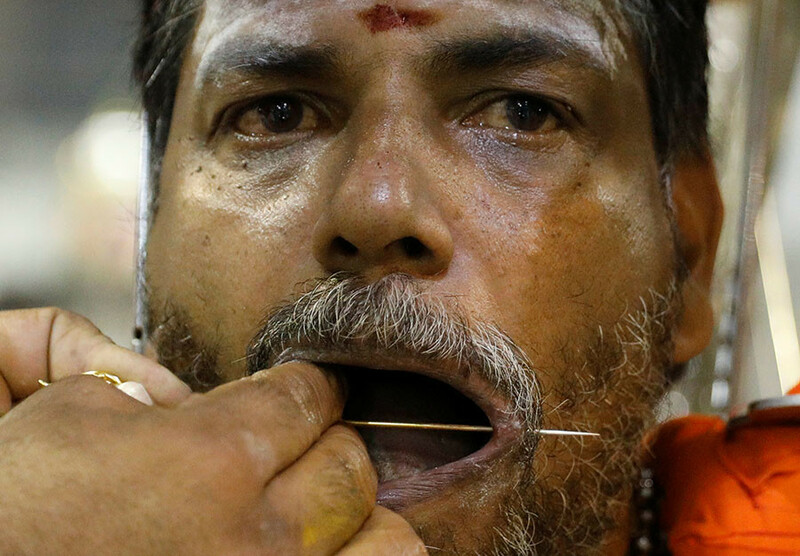 A whopping 1.5 million people are expected to celebrate the festival at Malaysia’s Batu Caves on Thursday, one of the largest gatherings for the festival outside of India.